A student was arrested Sunday evening after a threat posted via social media of a mass shooting on Emory University’s Oxford campus in Newton County. 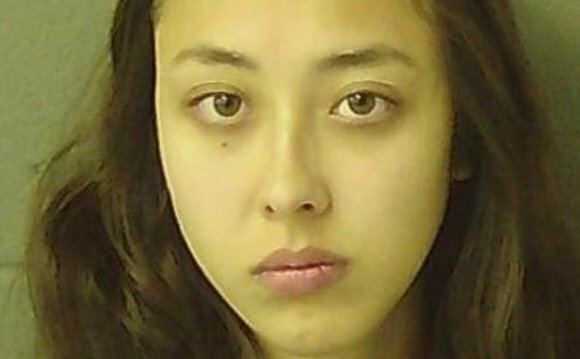 Although the school did not release the name of the student, jail records for the Newton County Sheriff’s department show an inmate named Emily Sakamoto, 21, was booked and jailed on a charge of making terroristic threats and acts, a felony. Sakamoto is also listed as an Oxford student in Emory’s online directory. The sheriff’s office said Sakamoto was still in custody Monday afternoon. According to a report on 11Alive, the student posted the threat on Yik Yak, an anonymous messaging service. Students who saw the post passed it along to police. According to an email Dean Stephen Bowen sent to students Sunday evening just after 8:30 p.m., Emory police identified the person behind the threat as a sophomore. Bowen said the the woman confessed to posting the threat and is in the Newton County Jail. Claude Wilkinson (born Memphis, Tennessee) is an American poet, and artist. He graduated from the University of Mississippi and University of Memphis. He was writer-in-residence at the University of Mississippi. Dr. Henry Lumpkin Wilson (July 2, 1839, Danville, Virginia - September 21, 1917, Atlanta) was a prominent Atlanta physician, city councilman, and was active in the city's expansion and development.